South Luangwa NP, Zambia. I left the camp long before sunrise enabling me to spend some time to drive around, searching for something interesting. I soon stumbled across a small family of lions, lying next to a dead tree. It was still relatively cool, and as a result the three cubs were very active. They were constantly running and jumping on and off the tree and each other - a joy to watch. 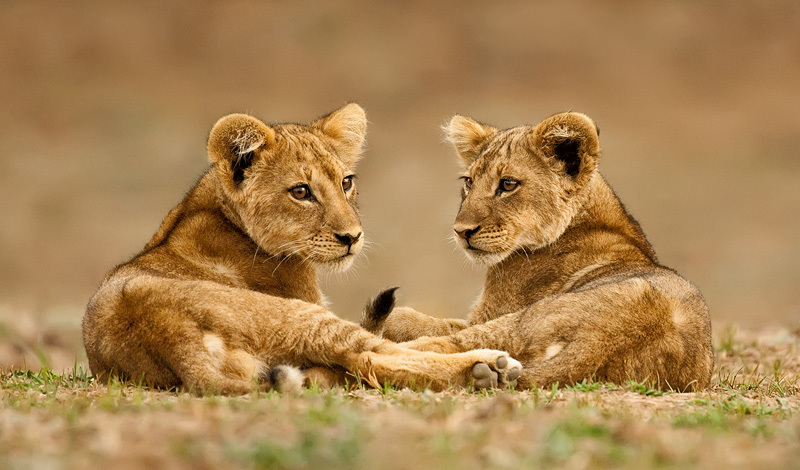 After a while they became tired and two of the cubs sat down. First the one of the left, then the one on the right joined. Almost a perfect mirror image, I couldn't have wished for a better pose.